I hate videos too so here you go…all charts attached. I still expect the broader market (SPY) to “dip” soon. Longer term (12-18 months) it looks like it’s going to rip. Big tech baby. Get it on. SPY is up against resistance and should re-set soon. Don’t be surprised. It will bring most everything back a bit before resuming expansion. Possibly back to 265-270 SPY. 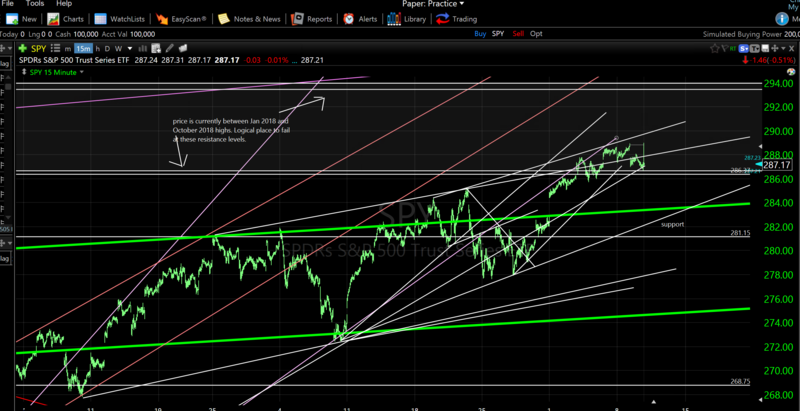 Current support is around 282-283 SPY. Do your own due diligence. This is not investment advice. My opinions only.